I can't believe that New Years is just around the corner! 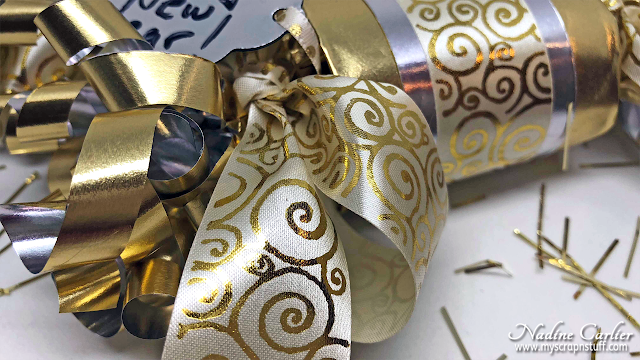 I made some super easy New Years party favors to give out to all of our friends this year using some Rinea Foiled Paper and ribbon from The Ribbon Place. 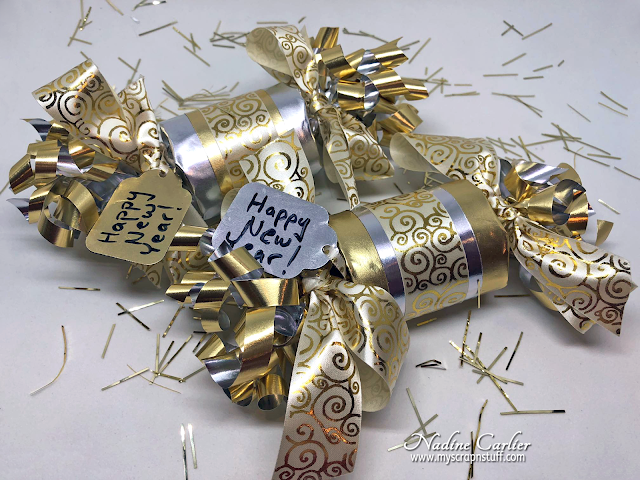 Below is a video tutorial showing exactly how I made my New Years party favors. I love how the Gift Satin Cyclone Swirl Ribbon from The Ribbon Place goes with the Silver/Gold Glossy Foiled Paper from Rinea. Isn't it gorgeous ribbon? 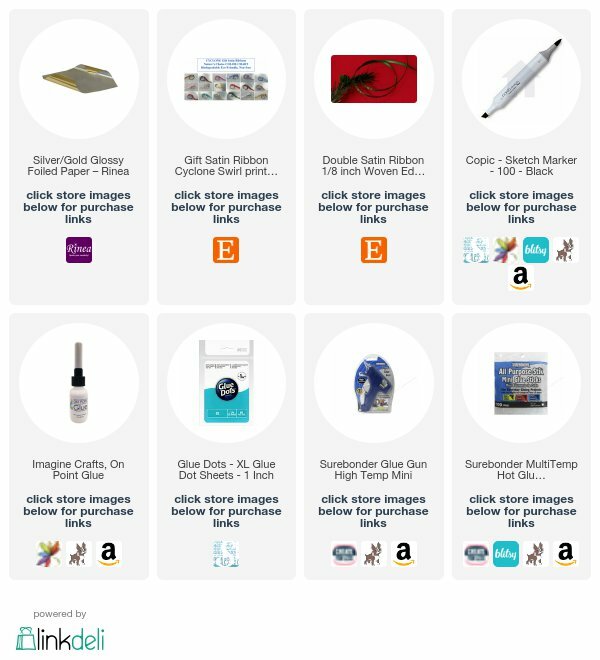 Plus if you mention that, Nadine sent you when you place an order from The Ribbon Place and you will get a free gift. 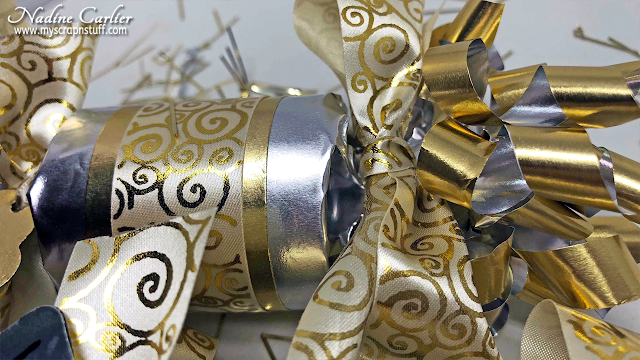 Rinea Foiled Paper is sandwiched between two thin pieces of foil so when you do things link roll it around a pencil it will hold its shape like the swirls I did at the ends of the party favors.